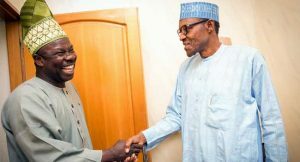 Ogun State Governor, Senator Ibikunle Amosun, has congratulated President Muhammadu Buhari, on his 74th birthday. In a statement issued by his Senior Special Assistant (Media), Mr. Adejuwon Soyinka, the Ogun State Governor joined family, friends, political associates and well-wishers to celebrate the President on the occasion of his birthday, on Saturday. “On this occasion of your birthday, we celebrate you and your commitment to the socio-economic and political development of our dear nation, Nigeria,” the Governor said. The governor prayed that Allah continues to grant the President good health, sound mind and fulfilment in his efforts to steer the ship of the Nigerian state in the right direction.